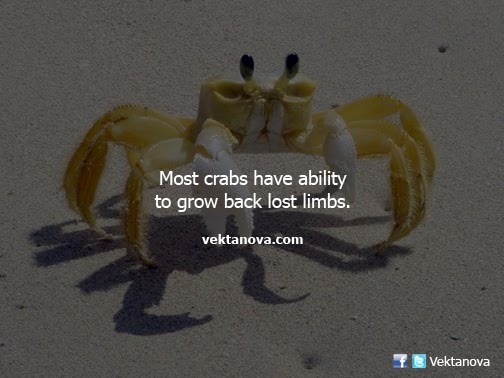 Most crabs are able to regenerate and restore their lost limbs, the new regenerated limbs would not have any differences with the previous limbs, but only texture of exoskeleton skins of their new limbs. However, despite have ability of growing lost limbs, losing claw is a big risk for any kind of crab. Normally, their limbs will normally regenerate after several times of moulting, usually two to three periods. No response yet to "Most Crabs Have Abilitiy to Grow Back Lost Limbs"